Beautiful Barber Lake views from this nicely maintained home/retreat. 2 BR, 2 BA, LL family room, open kitchen/dining area, fireplace, & large porch very close to the waters edge. 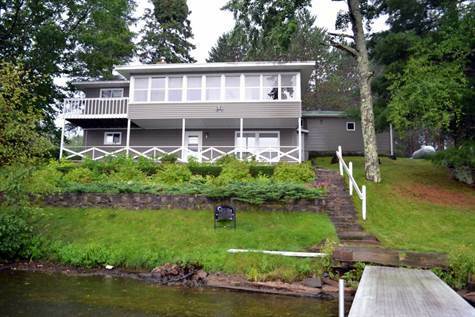 Enjoy a level elevation to the water with swimmable frontage & the peace of a smaller lake. Convenient to Winter, many area lakes, restaurants & trails.